MEXICO CITY — Donald Trump may be president of the United States but his words do not necessarily carry the weight of the U.S. government at the biggest trade shake-up he is pushing. Sometimes, it is better to block them out and carry on, participants say. Negotiations between the United States, Canada and Mexico to redraw the North American Free Trade Agreement (NAFTA) during the last few days were clouded by Trump’s plan to slap 25 per cent tariffs on steel imports and claims that trade wars are good. Several officials privately expressed frustration at his latest broadsides during the seventh round of NAFTA talks in Mexico, where Trump has regularly raised hackles by insisting on building a border wall he says Mexicans will pay for. But they also said that Canadian, Mexican and the technical staff of U.S. Trade Representative (USTR) Robert Lighthizer have remained focused on the task of overhauling the accord. “Our position on all this is: don’t react. Stick with the facts,” said a source close to the talks when asked how a man praising trade wars could be relied on to rework a trade deal. “Stick with the official positions of the government, and above all with our direct counterparts, USTR, the Commerce Department, and take serious decisions on that basis,” the source added, speaking on condition of anonymity. Technical discussions on one of the most contentious issues — U.S. demands for higher North American content in autos — made no progress after the U.S. official in charge of the issue unexpectedly returned to Washington for consultations. Trade experts studying the issue aim to meet next week, Mexico’s chief negotiator Kenneth Smith said on Saturday. 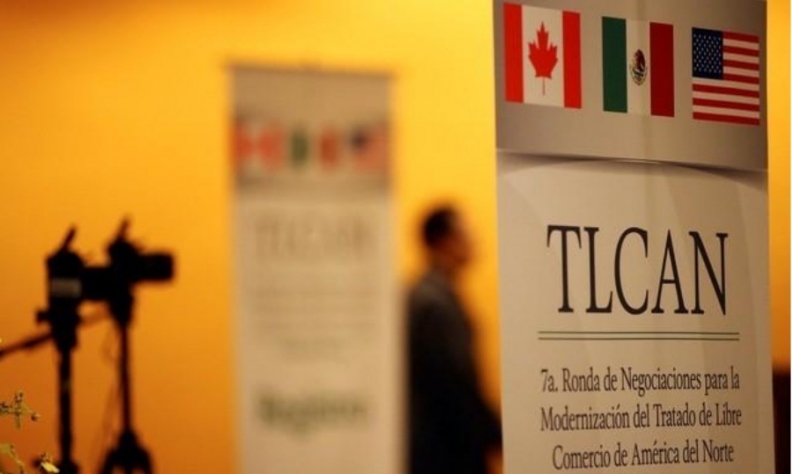 Officials concluded a chapter on regulatory practices earlier this week, and may be able to finish a handful more before ministers from the United States, Mexico and Canada meet for talks in Mexico City on Monday. Smith said the trade teams held productive exchanges on energy, and officials at the round have held out the prospect of concluding the sections on telecoms, as well as one relating to food safety measures, due for discussion on Sunday. By early evening on Saturday, no further sections had been concluded, said an official familiar with the talks. That said, chief Canadian negotiator Steve Verheul said talk of trade wars continued to be a distraction. “It’s a lot of extra work,” he told Reuters on Saturday. Trump has talked frequently of the need to be unpredictable and Carlos Pascual, a former U.S. ambassador to Mexico, said the president’s use of Twitter aimed to fuel uncertainty. The mood in Mexico for the latest round was dampened before the start when it surfaced that tentative plans for a meeting between Trump and President Enrique Pena Nieto had been shelved due to a joint phone call that soured over the planned wall. A former high-level Mexican diplomat said that the latest row fitted perfectly into the pattern of Trump disruptions ahead of NAFTA talks, and that the government needed to deny him the space to create them. “It’s wrong to think you can have a normal, calm relationship with Trump, he’s not like that,” the former official said, speaking on condition of anonymity.